Justin Alan Volpe, creator of POPprolific and the master of mash-ups, will release The Priors of Chaos resin figures at PIQ Grand Central Terminal Friday May 12. These 5.5” clear resin blue-glow figures are the result of a decade of sculpting, collecting, and casting. Using an over-sculpting technique Justin creates figures with recognizable elements that merge into new characters. 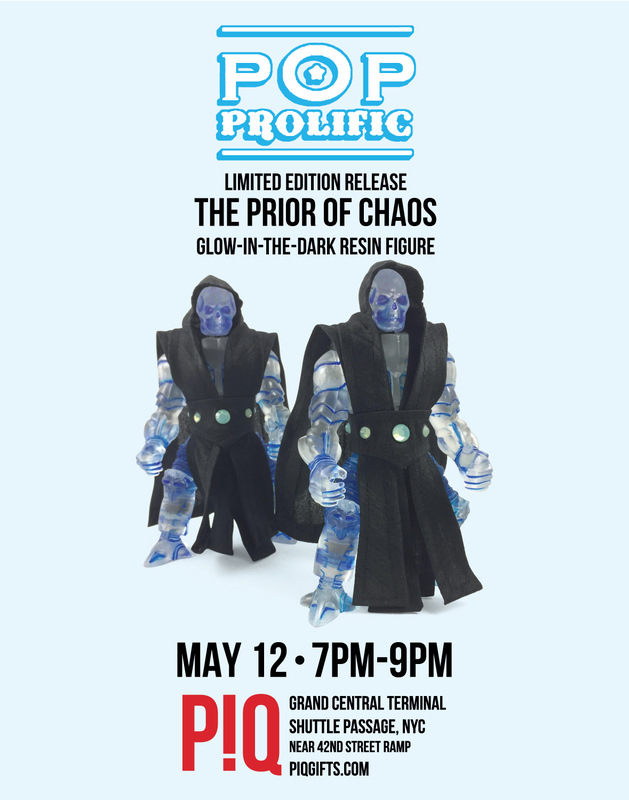 The glow-in-the-dark Priors of Chaos figures have removable custom robes in three pieces with Swarovski crystals. Only available at PIQ Grand Central and PIQgifts.com. The PIQ POPprolific Interview exploring Justin’s process and techniques is live now at PIQgifts.com. Quote and image reuse is welcome. Justin will be signing and sculpting live on May 12 from 7:00-9:00 PM at PIQ Grand Central Terminal.